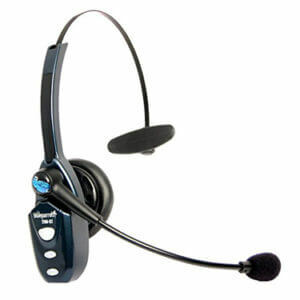 If you are going to get a Bluetooth headset, then you might as well get one that is sure to stay on your head. I suppose this is why the BlueParrott B250-XT has the design that it has. The B250-XT has a wireless range of 66 feet and a battery that is good for 16 hours worth of talk time. You may note the switches on the side, they are for the mute, volume, and pairing.